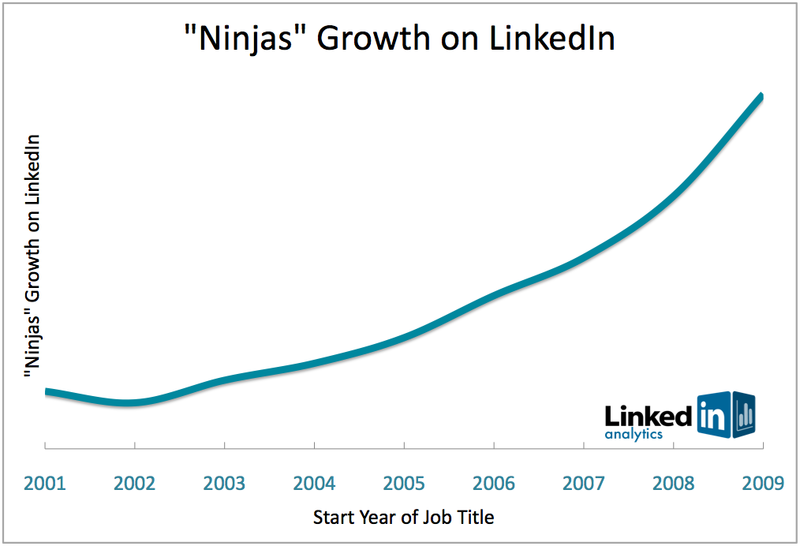 LinkedIn Observes The Rise of Professional Ninjas! Recently, our Chief Scientist, DJ Patil highlighted an interesting trend around the migration of professionals post the collapse of several of the major financial institutions. In that post, we also solicited your ideas and questions. Well, this week we take on one of the more popular topics – the emergence of new job titles. Other ninjas come from the social media, computing and design sectors. Professionals in customer service, advertising and finance have their share of ninjas too; for example, check out real life Investing Ninja Assassin Ann Miura-Ko. How much has the job title “ninja” grown? The attached global “ninja” chart shows the percentage of people starting “ninja” jobs relative to all LinkedIn members who started a job year. This allows us to make meaningful year- to-year comparisons and discover interesting labor market movements. Ninjas aren’t the only creative job titles we’ve seen emerging on LinkedIn. Since 2002, non-religious titles containing the term “evangelist” have taken off as well. 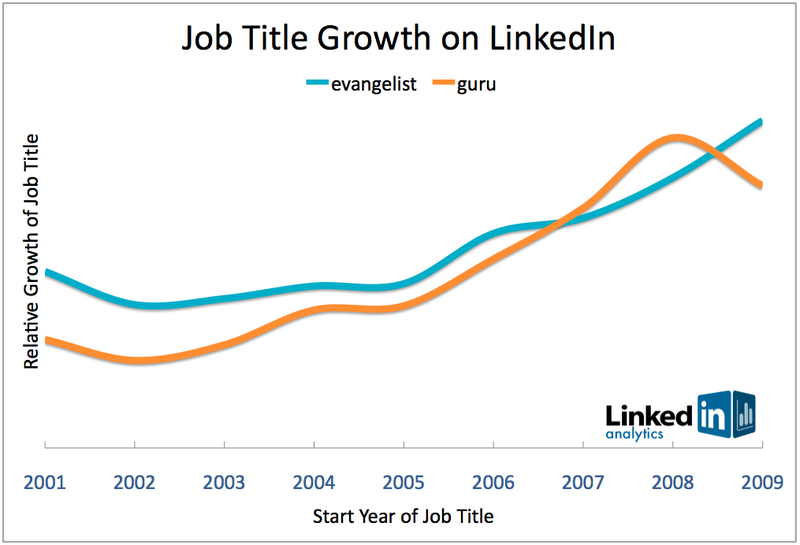 “Guru” had been on the rise since 2002, but popularity has been declining since 2008. Have you noticed an interesting trend? Do you have a trend or data question you’d like us to answer? Please post them here and we’ll feature them in a future blog post.